Many of you have been posting wonderful Valentine's Day ideas. I am not doing too much this year since I will be out of town during that time. I have some decorations from last year, but wanted something new. While cleaning in the garage, I came across these old rulers and this board. Just maybe? What to do with a Swiffer container? I don't use the Swiffer too often, it is more my husband's idea. I tend to use one were I can wash the pad instead of tossing it away. I guess if he wants to clean the floors, then I should be grateful and I am. Now he has used these in the past to hold some of his things in the garage. It's time again for the Chain Linky CLIMB. I am so excited to be co-hosting with my special friends Angie and Angel. It is always so much fun growing my blog and helping others to grow theirs. Don't forget about the prizes you can win. Hope you will join us. Can't wait to see what you share. Thanks for joining us again this week. We are still celebrating Happiness is Homemade Linky Party's one year anniversary. $100 in cash could be yours. Come join us for the celebration and enter for a chance to win. Hey there! We are happy you are joining us this week! On Saturday, we had a few friends over for dinner. I wanted to make something special for dessert since our guests were visiting here from Italy. I needed something that I could make ahead of time and then put together at the last minute. These mini chocolate cakes were the ticket. Back from our trip to Universal! We hated to see our vacation end. It was so much fun being with my son, daughter-in-law and the grand kids for the week. 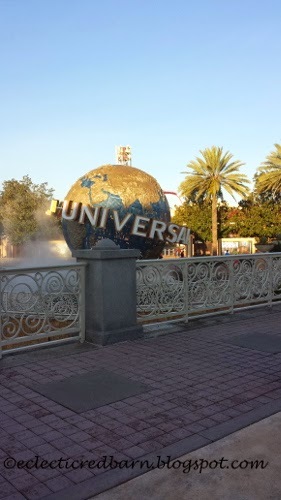 Universal Studios and Islands of Adventure were awesome. Thursday was cool and sometimes a light mist but the rest of the days were warm and sunny. Happiness is Homemade Linky Party's One Year Anniversary! I am so excited to be here celebrating the one year anniversary of Happiness is Homemade linky party. with a present of $100* cash to one of our guests - thats you! Enter to win after you link up! A huge thank you to some of our past co-hosts who came together to celebrate with us and give you a chance at the $100 Paypal Cash Prize! Do you have pets? If you do, sometimes it can be difficult to leave them when you have to go away. 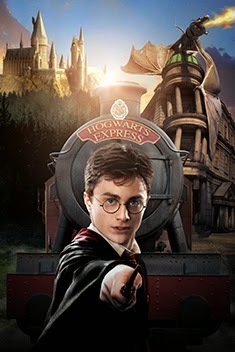 We will be heading to Universal Studios to meet up with the grand kids on Wednesday for a week. We are so excited to be "making memories" with them! Harry Potter here we come! However, that means leaving the cat and three dogs with a sitter. Not too bad except when your pet sitter is from Italy (has only been here a year) and English is not his native language. He is adorable and loves dogs. He works for my husband and has been to our house many times but taking care of the pets at our house will be new for him. So how do I explain meals, routines, etc? I was at Joann fabrics yesterday and just had to stop in at one of my favorite stores - Home Goods. Of course I didn't need anything, but thought I would just look at what was on Clearance. There they were, on the bottom shelf. Bulbs sprouting out of their boxes. I have been as they say, "off the grid" for awhile. It was great spending time with family and friends over the holidays. As you may remember, I was fostering three puppies before Christmas. Needless to say, they were a joy to have over the holidays. My daughter came from California with her Dachshund and for Christmas, my sister-in-law brought her dog. With 5 dogs, 3 puppies, and 1 cat, it was quite the zoo. The puppies are really growing and becoming much more adventuresome. I hope that everyone is ringing in the new year with hope in their hearts and a smile on their face. I new year is beginning and time to reflect. My daughter, husband and I sat last night and talked about the best and worst moments of 2014. We were so blessed, except for our precious Tiny passing and my daughter's cat Saddie passing, we could not think of anything else bad that happened. How awesome is that! God is good! I hope that your new year is filled with many hopes and dreams. I have not made any new year's resolutions yet, maybe later this week. For now I am continuing to enjoy the holidays. I must admit I have been offline for the past week and it has been wonderful just connecting with family and friends and enjoying our time together. My daughter has to go back to California Friday night so I am trying to be with her as much as possible. I will be sad when she leaves. Friends will be arriving soon to celebrate the new year with us. Be safe if you are traveling. Hope your have a very happy new year!